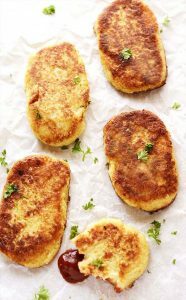 From quick and easy on-the-go recipes to overnight bakes, this is the place to look for delicious keto breakfast recipes, no matter what your morning schedule looks like! You have probably heard your whole life that breakfast is the most important meal of the day. This is true! After a full night of sleep, breakfast is the first meal your body gets after fasting for hours. In other words, breakfast is the first source of energy that your body receives to keep you feeling energized throughout the day! 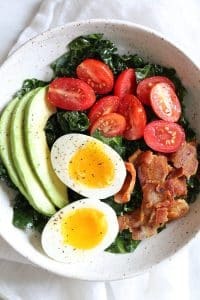 When following a keto diet, this means a low-carb, high fat meal in the morning! 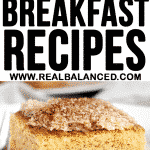 With these recipes on-hand, you’re sure to have a breakfast that is anything but boring! 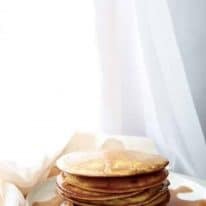 Whether it’s eggs, bacon, low-carb pastries, muffins, or keto pancakes, there are a variety of recipes in this round-up that are sure to fulfill your breakfast needs! 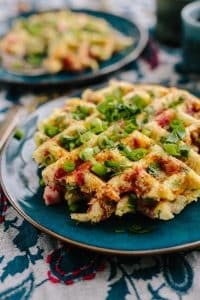 If you’re looking for keto breakfast ideas, this list is for you! 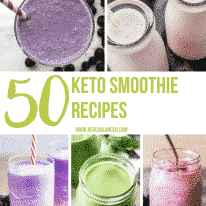 Here are 50 of the best keto recipes that will get you excited for your morning meal! 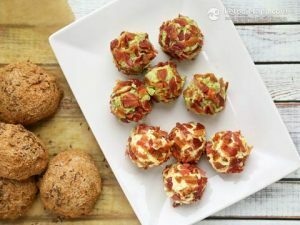 Make a batch of these low-carb, gluten-free, nut-free muffins at the beginning of the week for a quick grab-and-go breakfast! 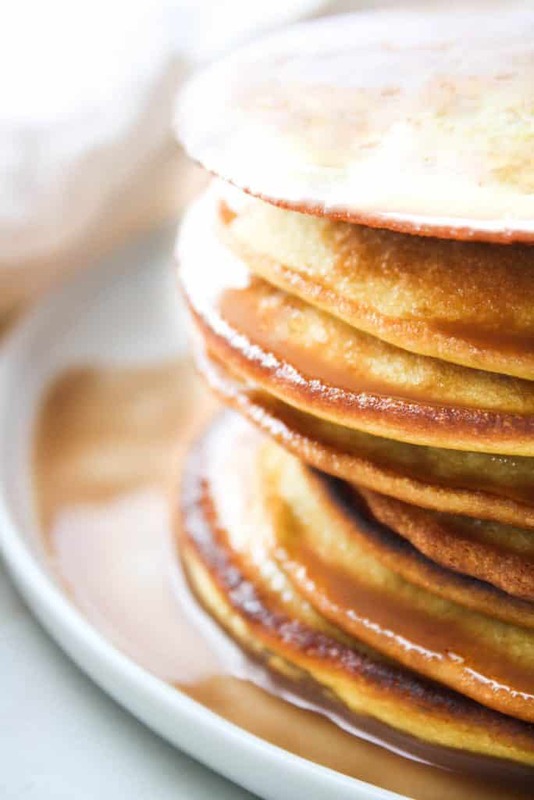 There’s nothing like a big stack of pancakes to start your day! 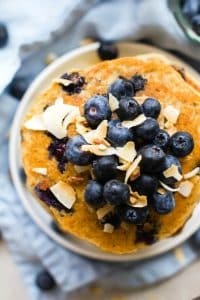 These pancakes are low-carb, gluten-free, grain-free, dairy-free, vegetarian, and refined-sugar-free! 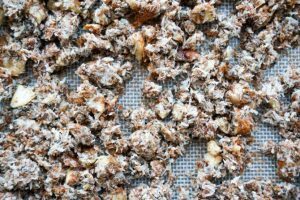 This granola is soooo crunchy and flavorful! 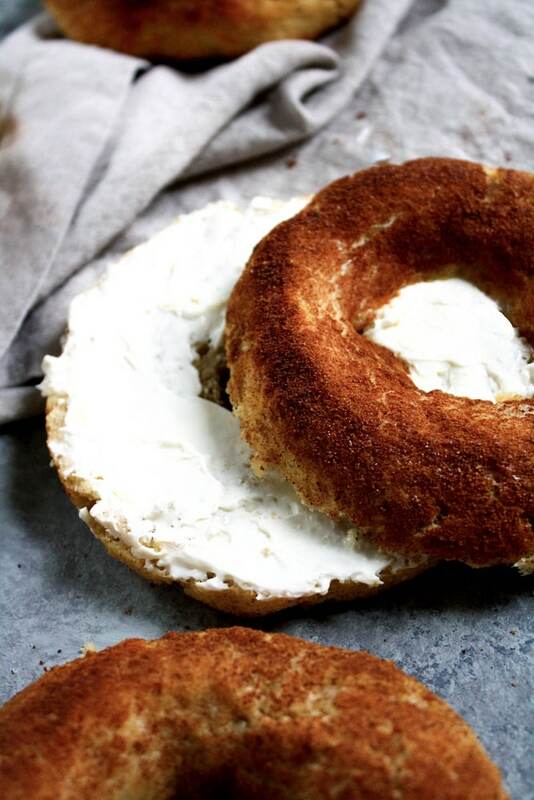 Smear these bagels with some cream cheese for a sweet, low-carb breakfast! 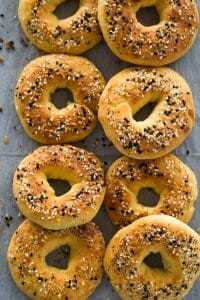 Everything bagels are a carb-filled breakfast classic! 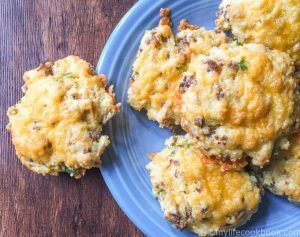 This recipe is gluten-free, low-carb, and keto! 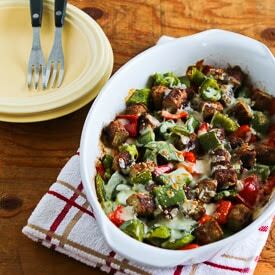 This recipe will make you WANT to eat salad for breakfast! 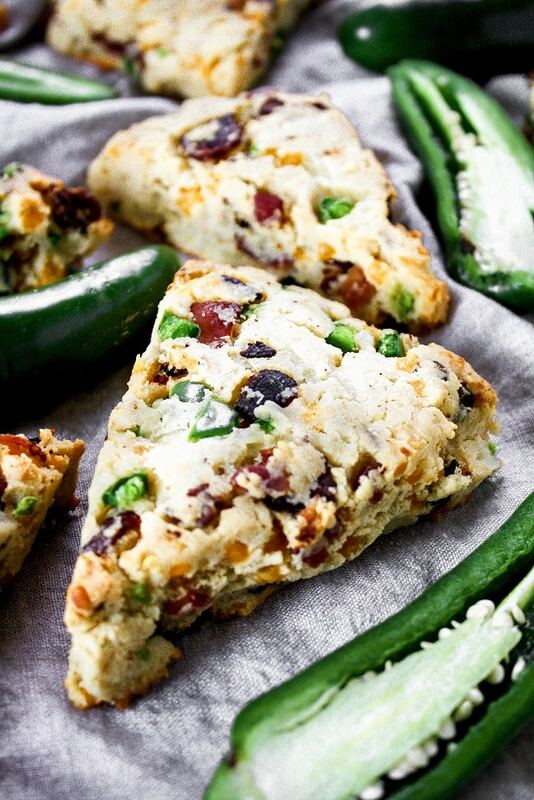 Bacon, cheese, jalepeno…a perfect combination for a savory breakfast! 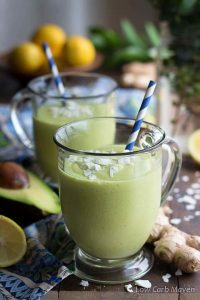 This smoothie makes for a perfect, easy breakfast for those busy mornings! 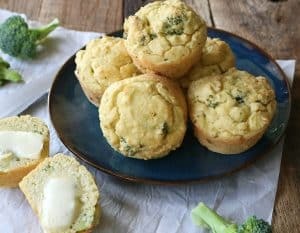 These easy breakfast muffins are perfect for meal prep! 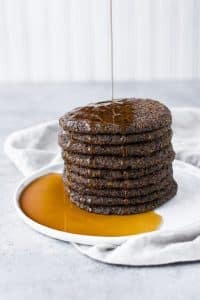 Plus, they are low-FODMAP, paleo, keto, Whole30 compliant, low-carb, gluten-free, grain-free, dairy-free, and sugar-free! 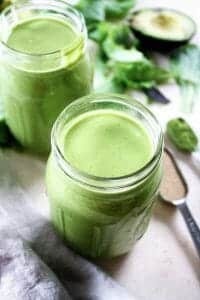 This creamy, rich, and flavorful smoothie looks good, tastes good, and is good for you! 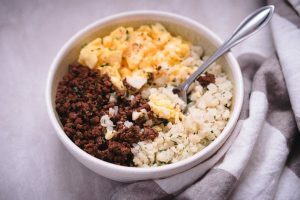 All of your favorite breakfast foods into one! 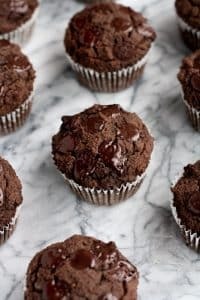 When you need something sweet to start your day, try these muffins which are low-carb, keto, nut-free, dairy-free, soy-free, gluten-free, grain-free, vegetarian, and refined-sugar-free! 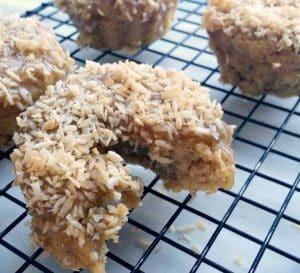 These low-carb cookies are a unique, but delicious keto breakfast option! 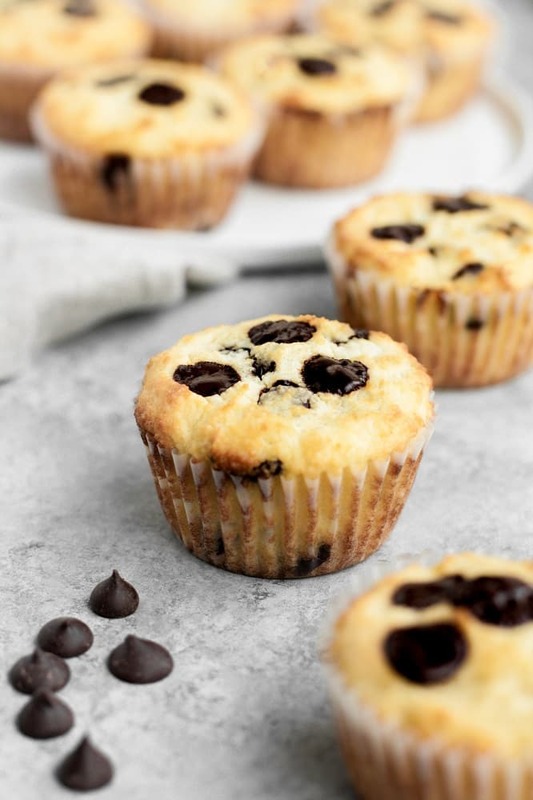 When you are in a rush, these muffins are a perfect breakfast to grab before you head out! Pizza for breakfast? Sounds good to me! 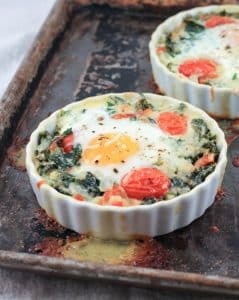 These creamy, cheesy baked eggs are gluten-free, low-carb, and keto! YUM! 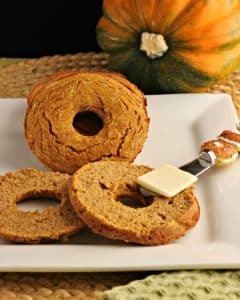 With this recipe, you can still enjoy a classic carb-loaded bagel without going out of ketosis! 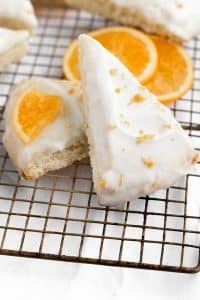 These Low-Carb Glazed Orange Scones are a tart and citrusy baked good that pairs perfectly with your morning coffee! 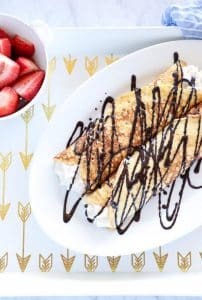 This elegant breakfast has only 4 ingredients and can be whipped up in less than 30 minutes! 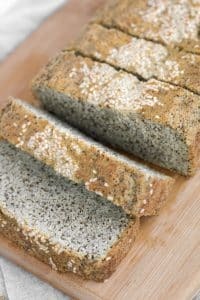 This bread is free of refined sugar, gluten, grains, and dairy, but full of flavor! Best of all, it only has 4.9g net carbs per serving! What could be a better side for your bacon and eggs in the morning? 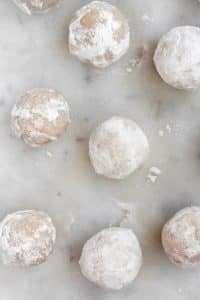 These Powdered Donut Hole Fat Bombs are perfect for when you are craving something sweet! 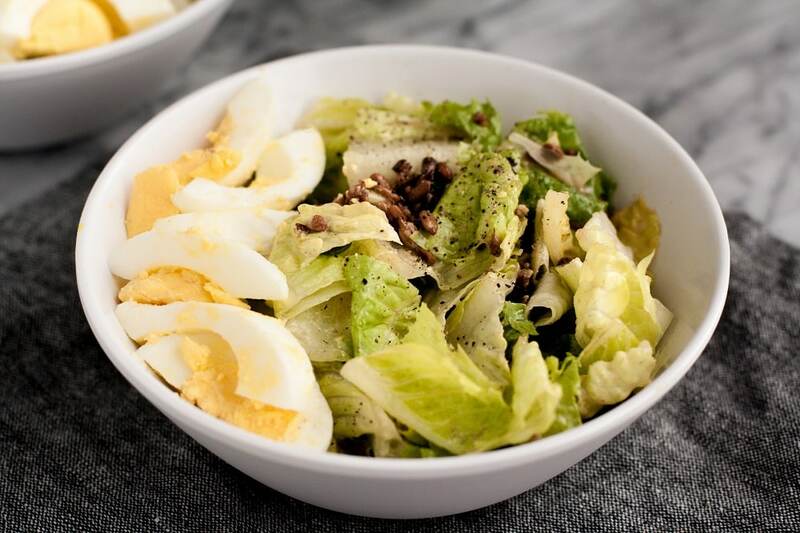 They are keto, low-carb, nut-free, paleo, dairy-free, gluten-free, grain-free, vegan, vegetarian, refined-sugar-free, and contain only 1.7 grams of net carbs per serving! 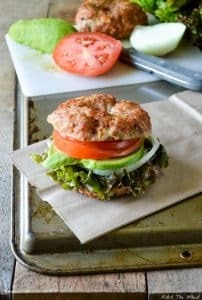 Meat in bagel form…now that’s what I call a delicious keto breakfast! 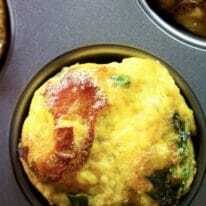 When you are craving a warm cup of broccoli cheese soup, try this breakfast muffin version! Bacon, lettuce, and tomato is a classic combination! 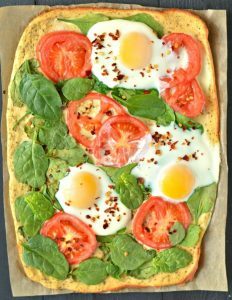 Try this gluten-free, dairy-free, and keto recipe for breakfast, which adds eggs to put a spin on this classic lunch or dinner combo! 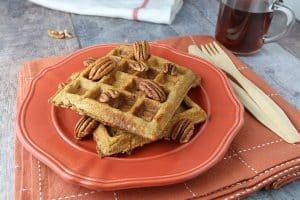 You would never guess that these Pumpkin Pie Spiced Waffles are dairy-free, gluten-free, and keto! Who doesn’t like dessert for breakfast? You can still enjoy the taste of a breakfast burrito with this low-carb version! 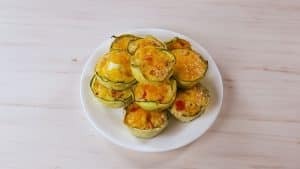 Pick up a couple of zucchinis from the farmer’s market and make these flavorful egg cups! 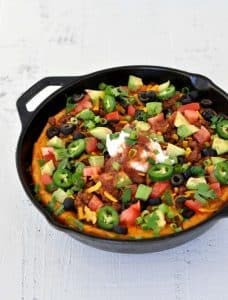 This Keto Taco Breakfast Skillet is perfect for meal prep for those hectic mornings! 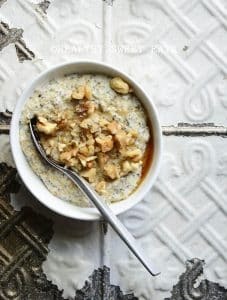 When you are craving a warm bowl of hearty oats but are following the keto diet, no fear – Noatmeal is here! You would never guess that these Cinnamon roll knots are gluten-free, dairy-free and only have 2g net carbs per serving! Sometimes you just need a break from eggs! 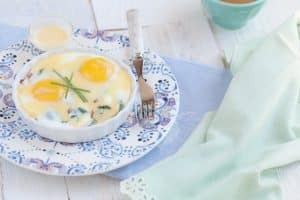 This eggless breakfast bake is a yummy keto breakfast option to change up your morning routine! 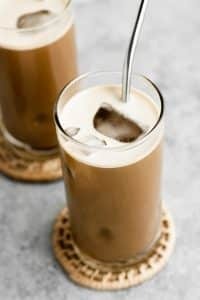 A glass of this creamy deliciousness is a great way to start your day! 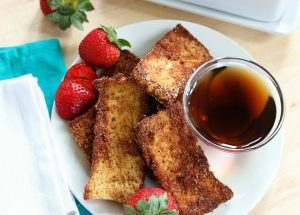 These Keto French Toast Sticks will bring you back to your childhood! 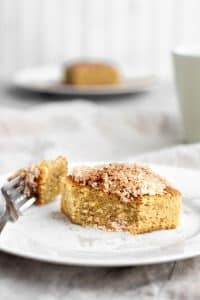 Enjoy this keto, low-carb, nut-free, paleo, dairy-free, gluten-free, grain-free, vegetarian, refined-sugar-free coffee cake alongside your morning cup of joe! 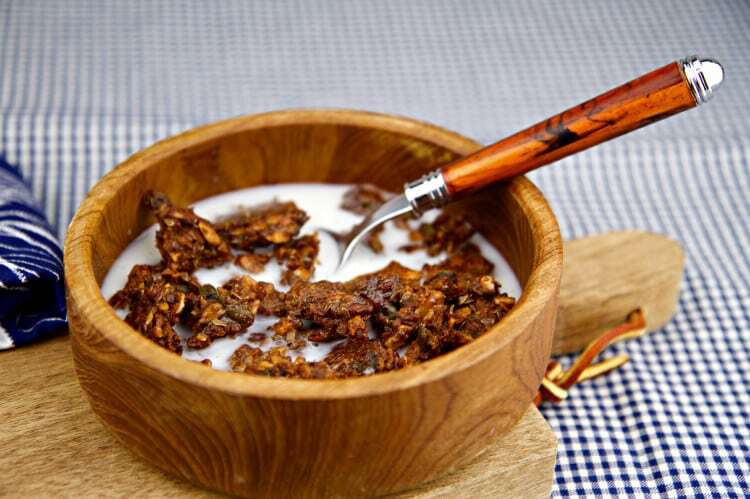 This gluten-free, oat-free, low-carb, keto granola is sweet, crunchy, and full of flavor! 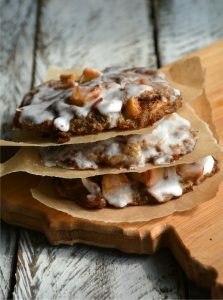 This recipe will come in handy when you have a few extra apples in your fridge and need a sweet and delicious breakfast! 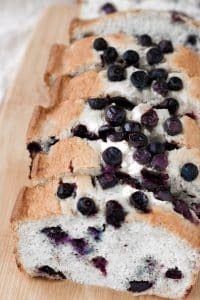 Who says you can’t enjoy bread while following a low-carb and dairy-free diet? 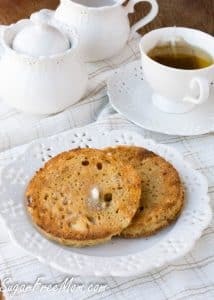 In less than 5 minutes, you can enjoy this low-carb english muffin that pairs perfectly with a smear of butter and a cup of tea! 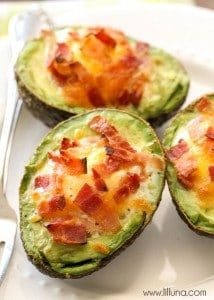 Bacon and eggs are delicious by themselves, but when you put them in an avocado…now that is taking it to the next level! 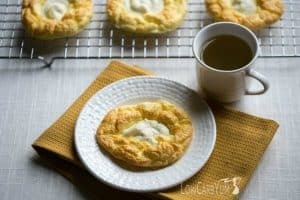 This recipe uses cloud bread for pastry so that you can still enjoy a warm, cheesy danish! 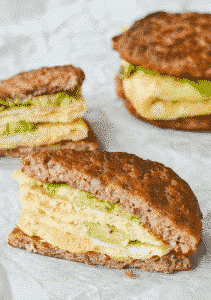 This will be your new favorite go-to breakfast recipe…TRUST ME! These are like a girl scout cookie in donut form! 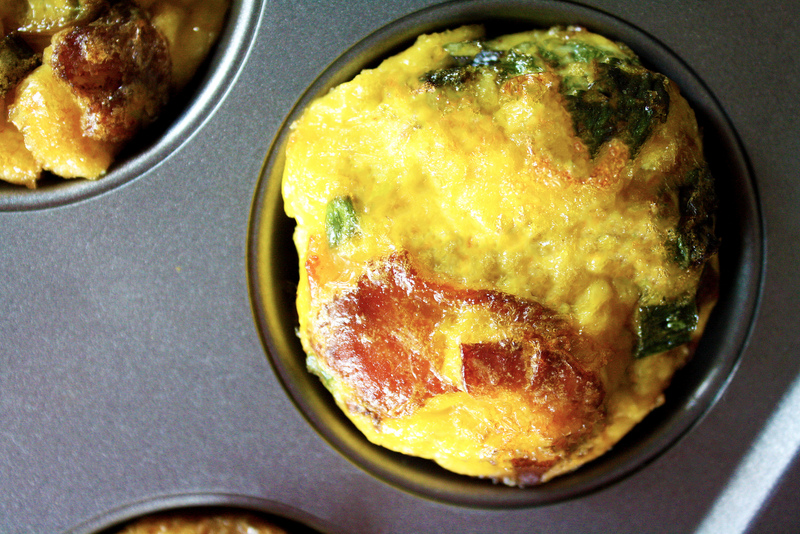 Throw a couple of these savory fat bombs in your gym bag for a quick breakfast after your sweat session! 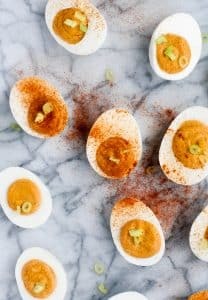 These Buffalo Deviled Eggs add a little kick to traditional deviled eggs and are keto, low-carb, paleo, Whole30-compliant, nut-free, dairy-free, coconut-free, gluten-free, grain-free, vegetarian, and sugar-free! 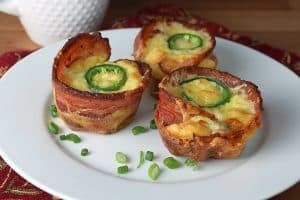 This combination of bacon, eggs, cheese, and jalepenos makes a SUPER flavorful, easy, keto breakfast! 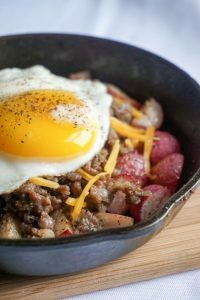 Instead of potatoes, this recipe uses radishes to achieve the same flavor and texture as your favorite hash, with only 4g net grams per serving!